We teach you exactly how to save bucks on bedroom modifications as your little ones grow up. Doesn’t time fly as a parent? And just as your little terrors need a constant stream of upsized shoes and socks as they get older, so their environment needs to be continually renewed. The hard part can be keeping costs low as you keep their rooms up-to-date. The secret? 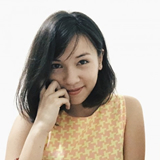 Versatility, creativity and some forward-thinking. 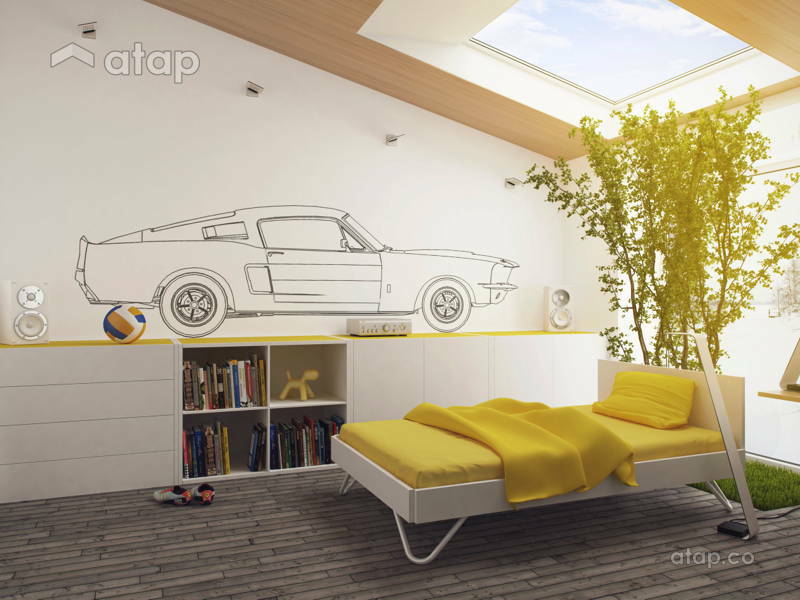 Read on for a guide on how to build bedrooms that are friendly to kids, parents and wallet. Grab a paintbrush: We’ve written about setting up a nursery in your home. Pastels and muted shades belong in the rooms of adults and the nurseries of softly sleeping babes, not crazy toddlers. Introducing a vibrant and fun colour scheme is a perfect way to transition. Childproof it: Little ones are full of energy so avoid furniture that’s easily knocked over. Large, non-slip rugs are a hot-climate-friendly solution to help soften falls. Keep the environment easy to clean. Stain-resistant or washable materials like leather and plastic is ideal. 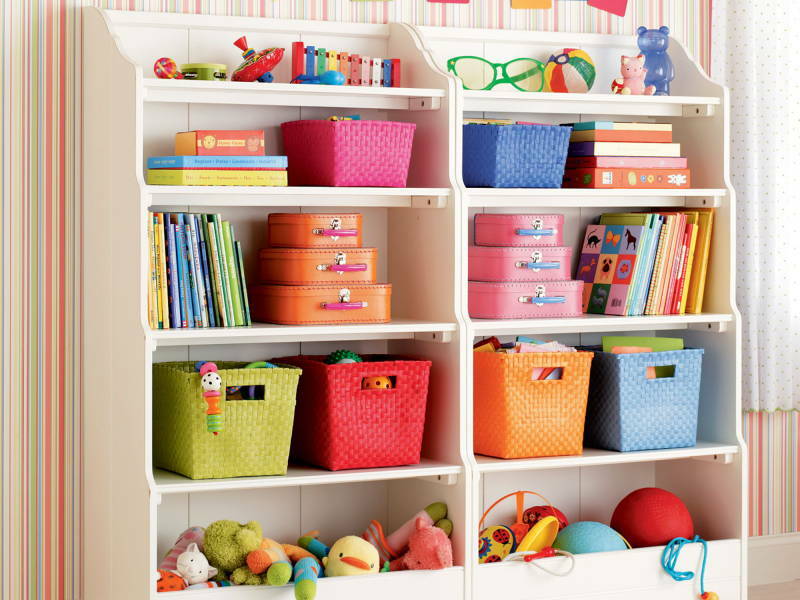 Create irresistible storage: A collection of toys grows exponentially with its owner. Good news is, there are lots of important developmental skills like matching and sorting that you can begin to develop if you can pique their interest. We recommend something eye-catching and fun like colorful wicker baskets or spray-painted boxes. Use different colours for different items – red for toys, green for craft supplies, etc. 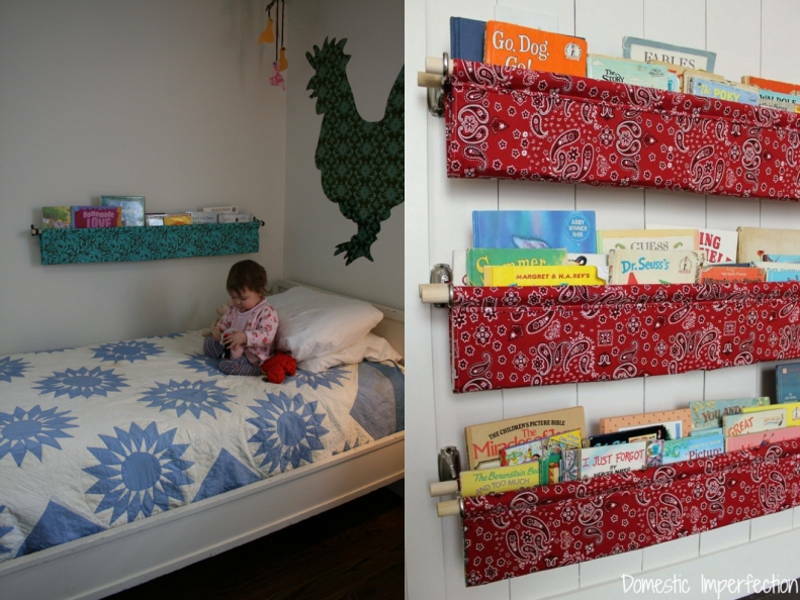 Go DIY: Keep costs low by browsing online for DIY storage options like this towel rails transformed into bookshelves. We’ve also covered some IKEA bedroom hacks. Create a canvas: Encouraging your kids to scribble all over the walls may sound like bad parenting, but hear us out. Painting an allocated wall of the room in whiteboard or chalkboard paint lets them unleash their creativity somewhere that won’t have you tugging your hair out. You’ll find paint at your nearest hardware store. 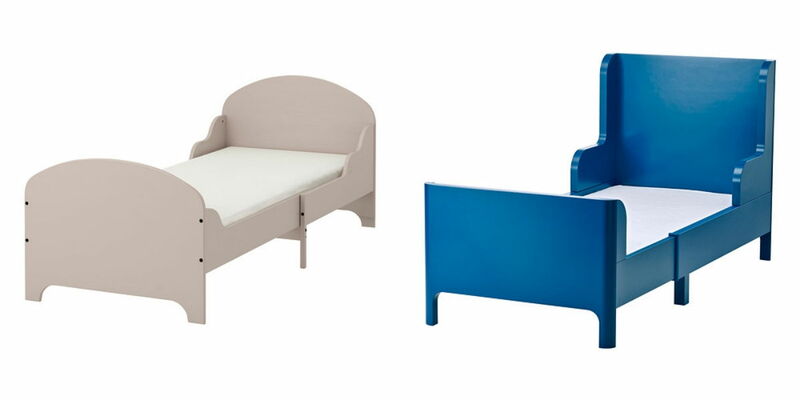 Plan ahead: We love these extendable beds from IKEA that can be pulled out to grow as your toddler does. It’ll save you a ton on new bed frames that tend to be very pricey. Recycle: As your kid grows, you’re going to need bigger furniture. Instead of purchasing new ones, try shopping from the other rooms in your home. You might be surprised to find a bedside table in the guest room that’ll make a perfect kids’ craft table. The same goes for colourful pillows, curtains, and décor around the house. Old clothes or blankets they’ve outgrown? Make them into a colorful quilt or throw pillow. 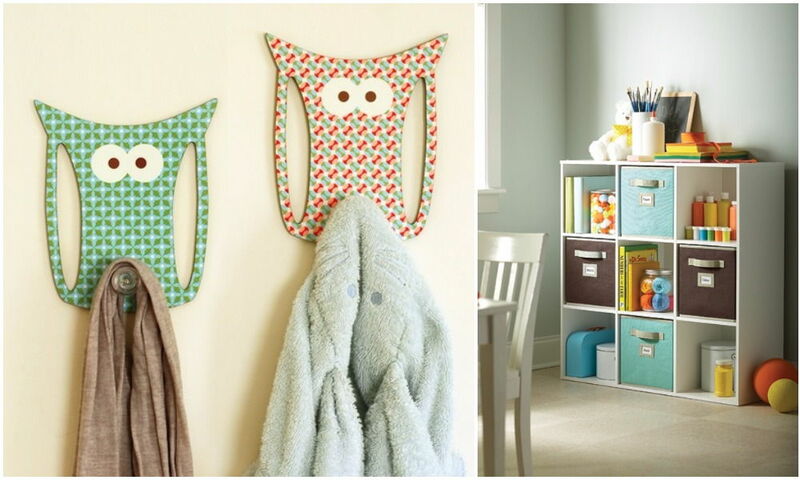 A cost-effective décor idea is to show off your kid’s favourite books, toys, or pieces of artwork. Switch them up as your child grows. Store more: Kids at this age start to become collectors so you’ll need to up your storage game (that dinosaur collection deserves its airtime!) Modular storage options, a.k.a. furniture that can be easily built upon and expanded upon, are one of the most cost-effective solutions. IKEA has plenty of such furniture, like this work station. Invite responsibility: As kids grow older, introduce opportunities for them to exercise responsibility. Encourage them to hang up their own belongings. Attach adhesive clothes hooks at a height they can easily reach. You can raise them up as your kid grows taller. A filing cabinet can be used to help file schoolwork and reports. Bring your kids with you to shop for organising products. They’ll be much more likely to use ones they choose! Spring clean: Cut clutter by doing a thorough spring clean of toys, clothes and furniture that have been outgrown. Waste not – check out which local charity organisations are accepting donations. Everything deserves a good home! Your kid’s activity areas should accommodate their changing interests and hobbies. This could mean a full sized desk with space for electronics, more drawers for clothes, an area for musical instruments, or a display cabinet. For those who invested in modular furniture, now’s the time to switch them up. Move things up up up! That means clothes hooks, wardrobe rails and shelving, so they are easily accessible. Re-colour: One of the simplest and most effective ways to mature your child’s room is to switch up the colour scheme. Get their input on the new colours, or mute down the shades to create something more mature and poster-friendly, like turning the chalkboard wall into a brightly coloured accent wall. Hire a professional to design a room (and a home) that makes sense. Get in touch with Malaysian interior designers.